It's time to celebrate, because National Girlfriend Day is this Wednesday, August 1! If you have a girlfriend in your life that you adore, this day is a great excuse to show her how much she means to you. Likewise, if you are a girlfriend yourself, cheers to you and being the awesome woman that you are! 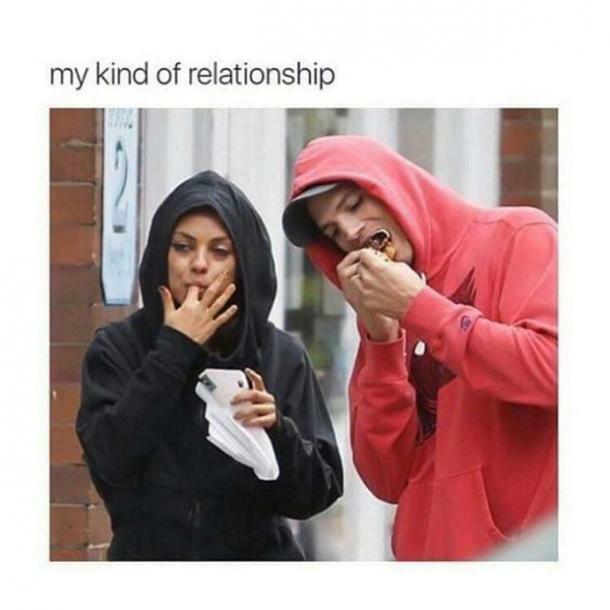 Regardless of what any commitment-phobic bachelors out there may think, let's face it, there's actually a lot of great perks to having a girlfriend. As women, we love to take of care and celebrate our significant other. We are there to cheer you on. From the days of high school when we were rooting for you in the championship game or as an adult when you take on a new job, your girlfriend is going to be your biggest fan. We want to see you succeed. We look forward to doing things together, whether it's a hike outdoors, catching a baseball game, or just watching a movie. Sometimes it's the smallest moments that mean the most, and we enjoy making those memories with our love. One of the best benefits of having a girlfriend though, is that she is someone who is going to be there for you. She’s the girl you can talk to when you're having a tough day and will be there to build you up when you need it most. She's got your back. That being said, relationships also have way of bringing out the worst versions of ourselves too. 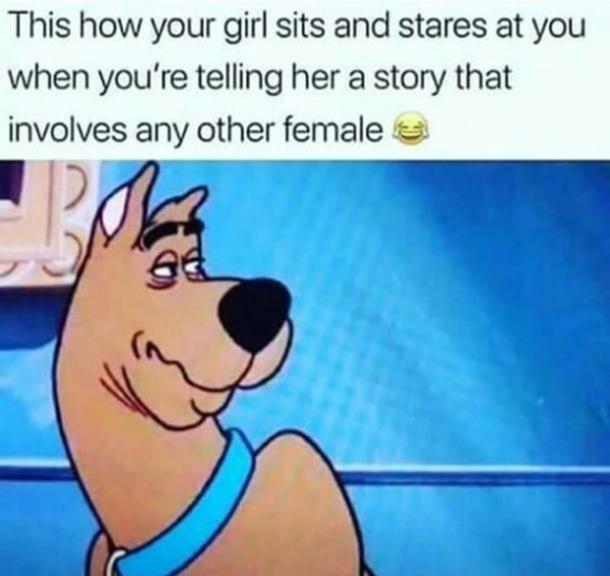 Well, that's where the internet is undefeated when it comes to providing us hilarious and relatable memes that we can have a good laugh at, especially when it comes to all things girlfriend. 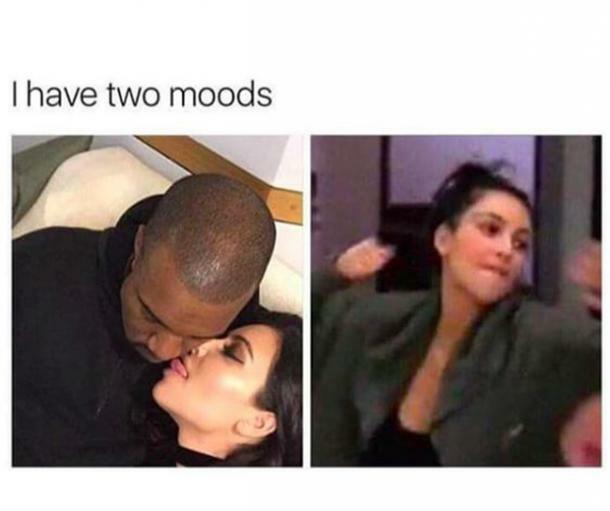 Whether you are a girlfriend or you have one, celebrate National Girlfriend Day with the best, funniest — and most accurate — girlfriend memes. 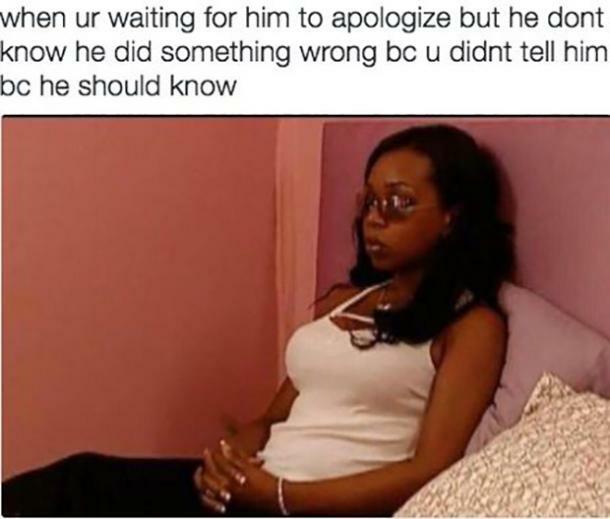 "When you're waiting for him to apologize but he don't know he did something wrong because you didn't tell him because he should know." 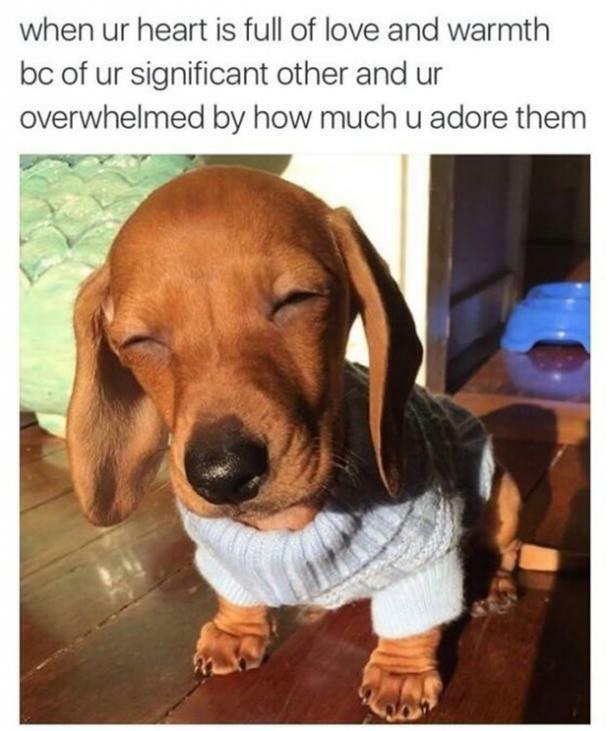 "When your heart is full of love and warmth because of your significant other and you're overwhelmed by how much you adore them." 3. 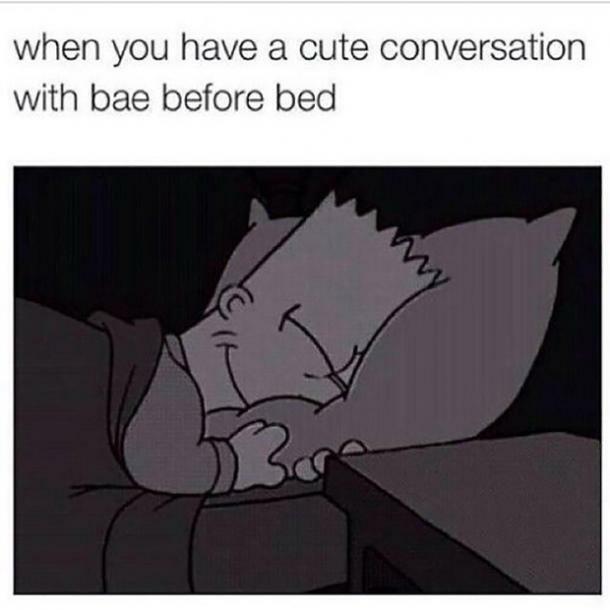 Even the little things are cute. "I'm the easiest girl to please. 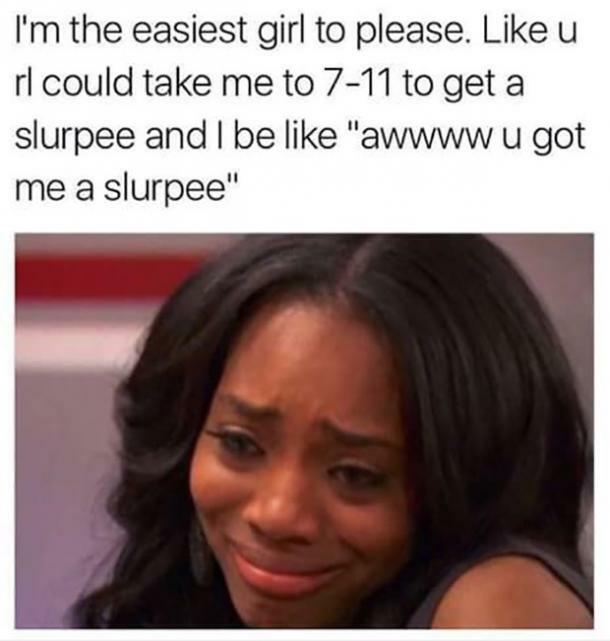 Like you real life could take me to 7-11 to get a slurpee and I be like, 'awwww you got me a slurpee'." 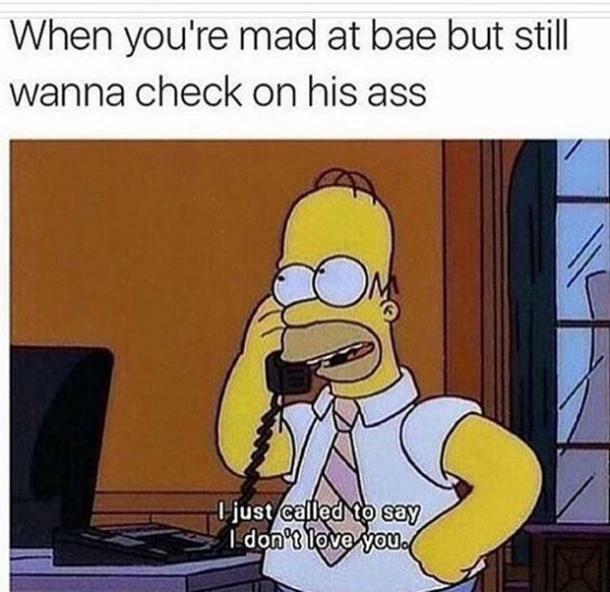 "When you're mad at bae but still wanna check on his a--." 5. Things aren't always what they seem. "Having a girlfriend: expectation vs. reality." 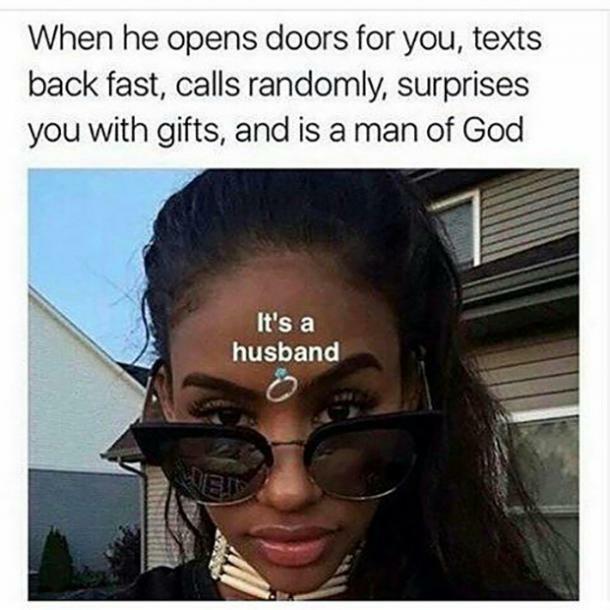 "When he opens doors for you, texts back fast, calls randomly, surprises you with gifts, and is a man of God." 7. ...But I do know. "Me: I know exactly where I want to eat." 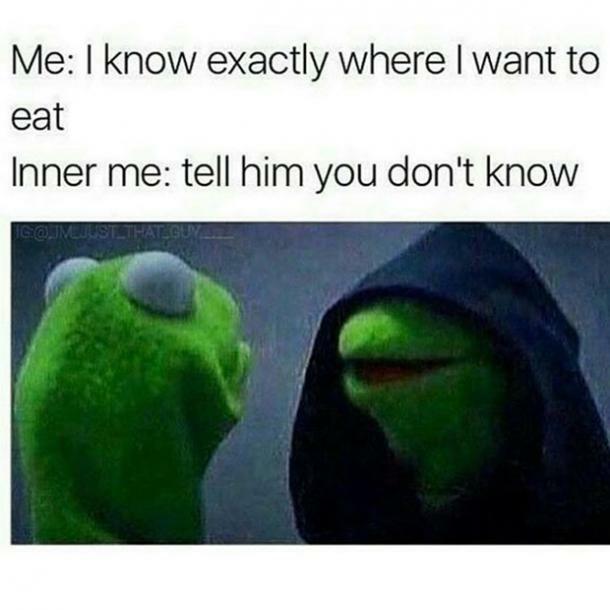 "Inner me: Tell him you don't know." 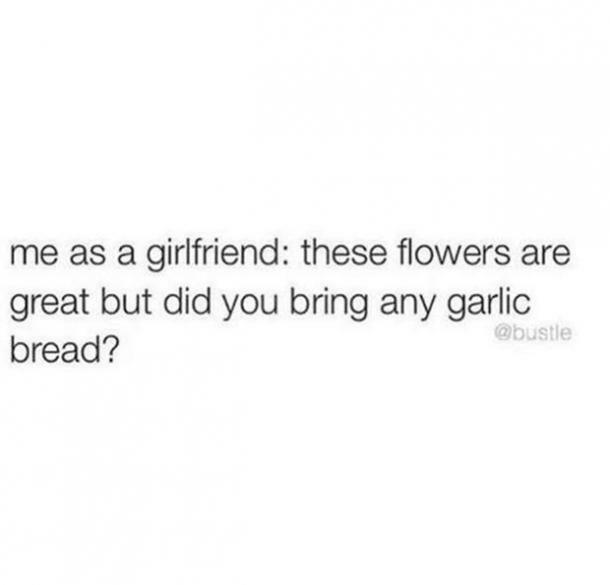 "Me as a girlfriend: Those flowers are great but did you bring any garlic bread?" 11. From one extreme to the other. 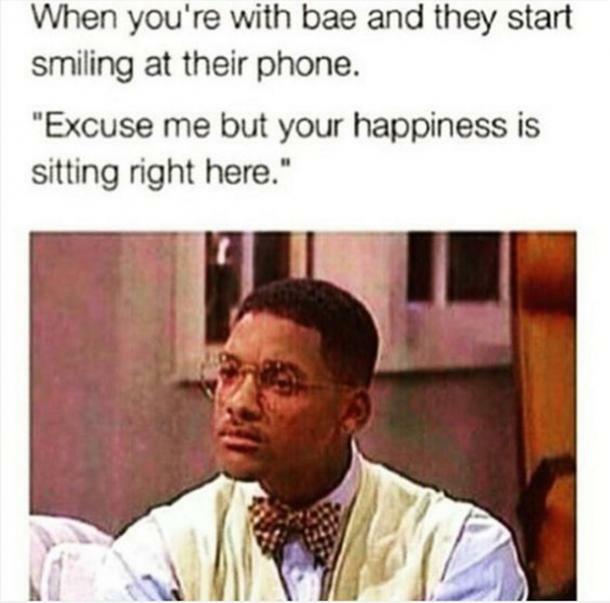 "When you're with bae and they start smiling at their phone: Excuse me but your happiness is sitting right here." 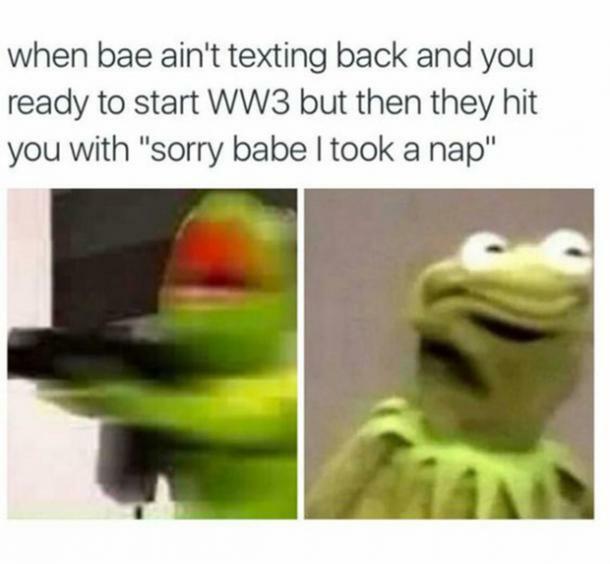 "When bae ain't texting back and you ready to start World War 3 but then they hit you with, 'sorry babe I took a nap'." 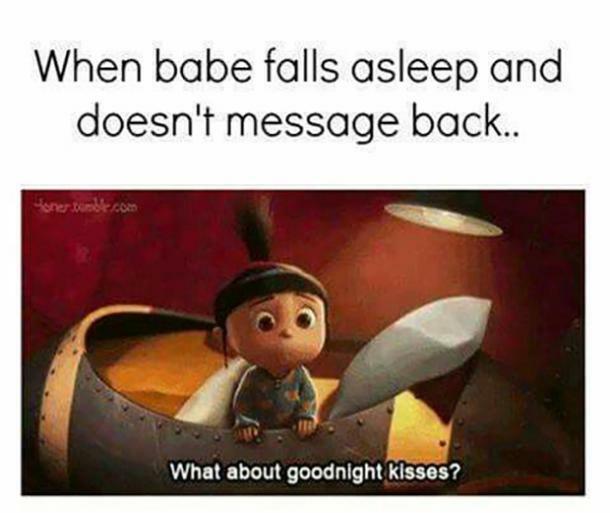 "When babe falls asleep and doesn't message back: What about goodnight kisses?" "This how your girl sits and stares at you when you're telling her a story that involves any other female." 16. 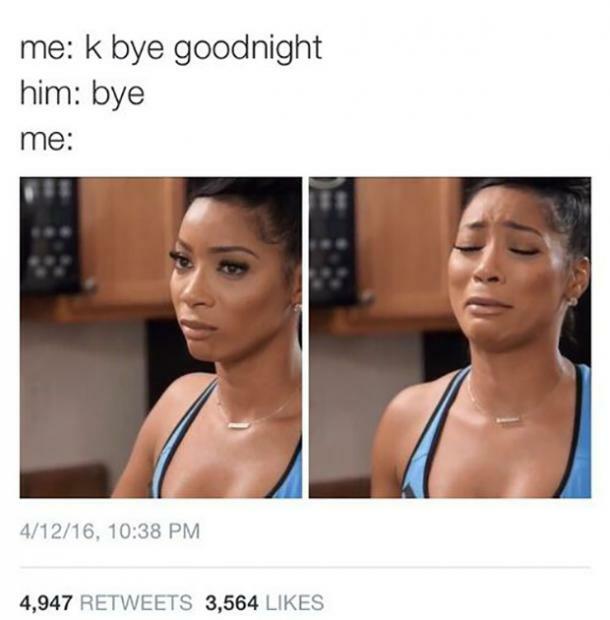 I didn't mean it. 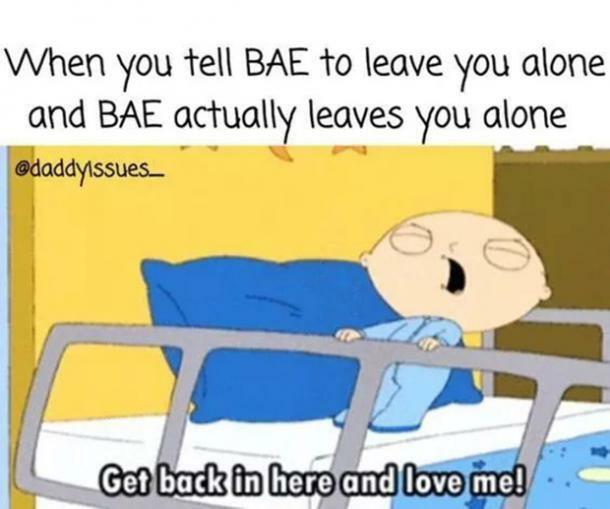 "When you tell bae to leave you alone and bae actually leaves you alone: Get back in here and love me!" 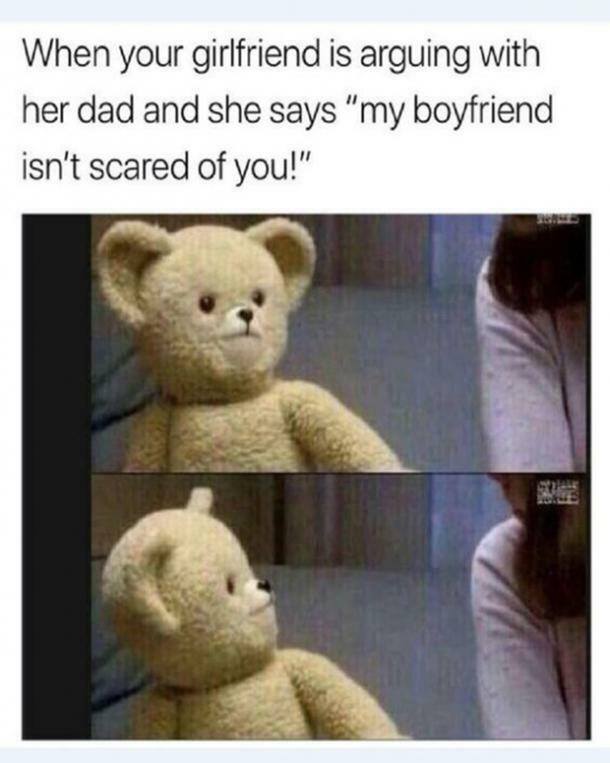 "When your girlfriend is arguing with her dad and she says, 'My boyfriend isn't scared of you!'" 18. Meant for each other. 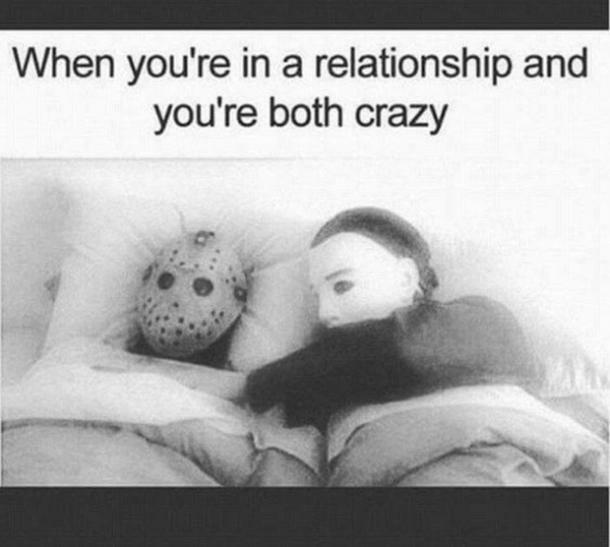 "When you're in a relationship and you're both crazy." "You took 4 hours to respond and think I'm gonna text back within the next minute? 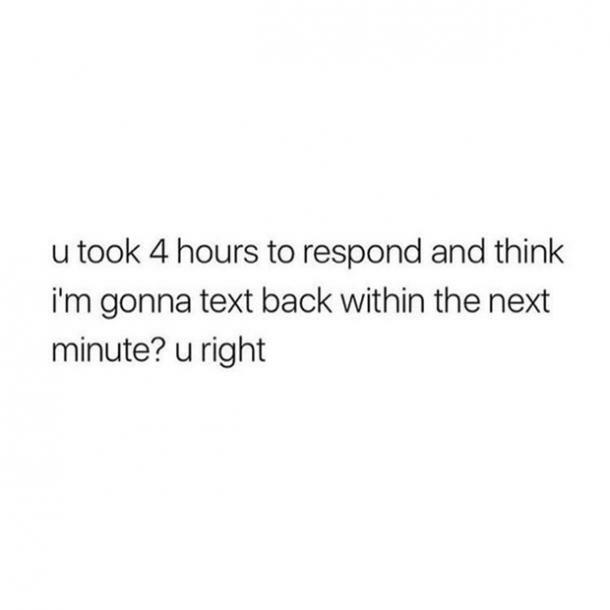 You right." 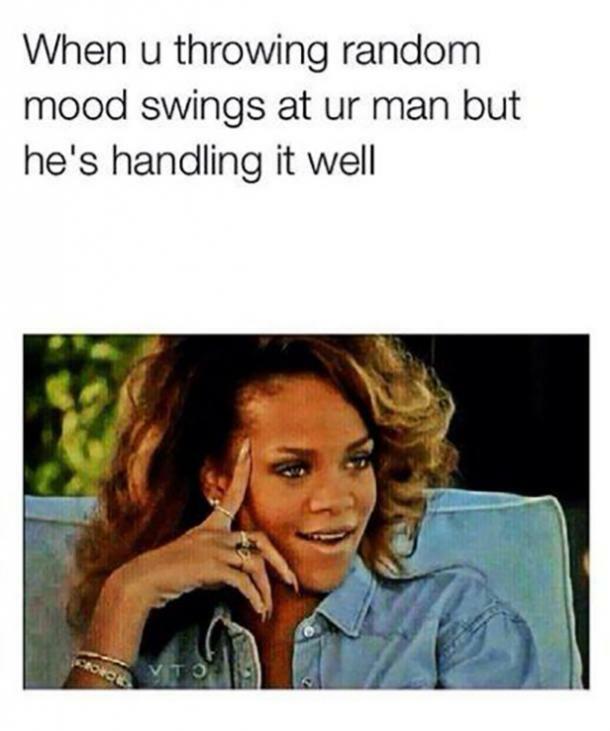 "When you throwing random mood swings at your man but he's handling it well." 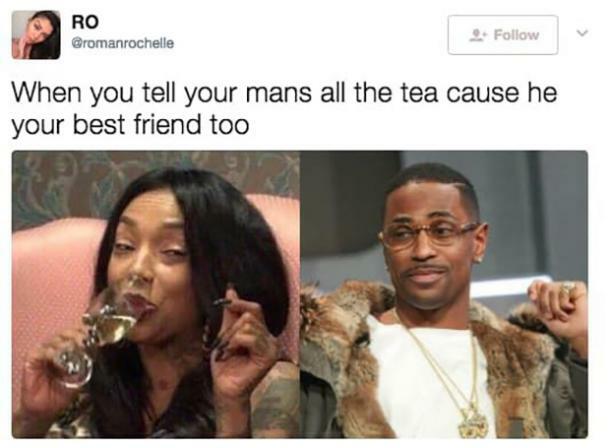 "When you tell your mans all the tea 'cause he your best friend too." 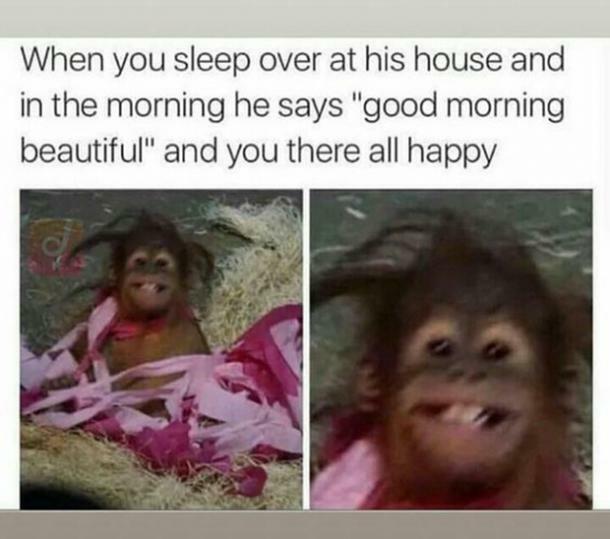 "When you sleep over at his house and in the morning he says, 'Good morning beautiful', and you there all happy." 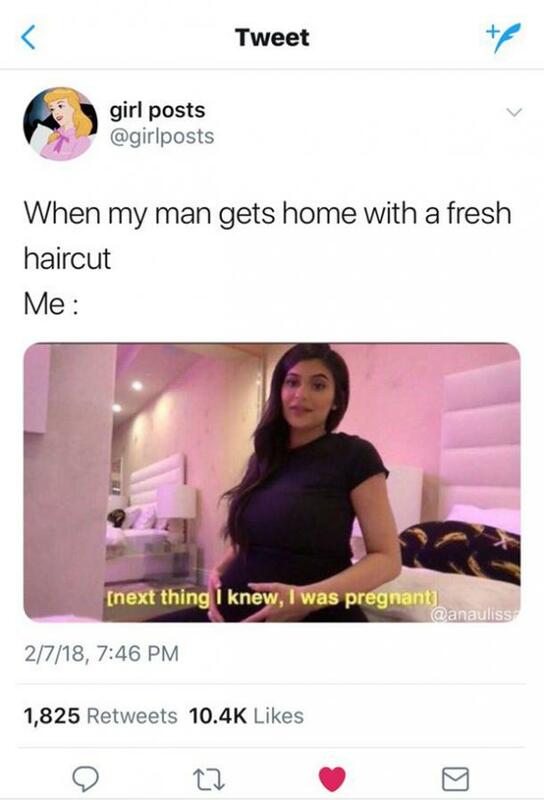 "When my man gets home with a fresh haircut..."
"Me: Next thing I knew I was pregnant." 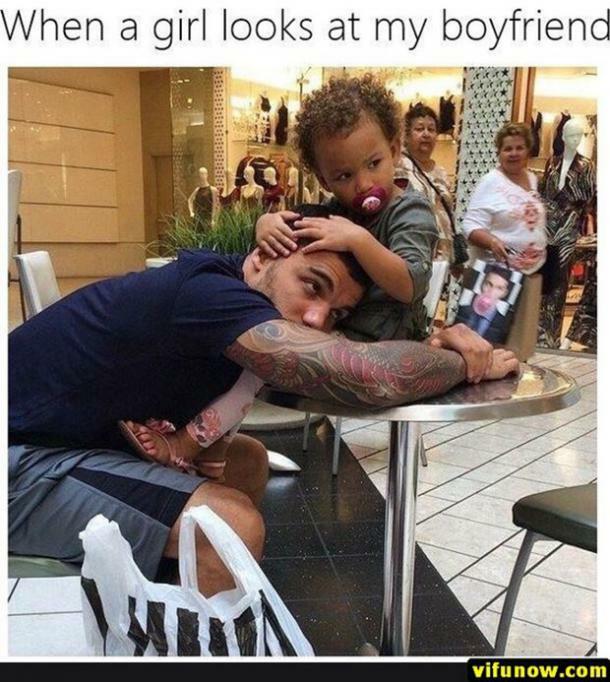 "When a girl looks at my boyfriend." "You're the only person I want to fall asleep next to." 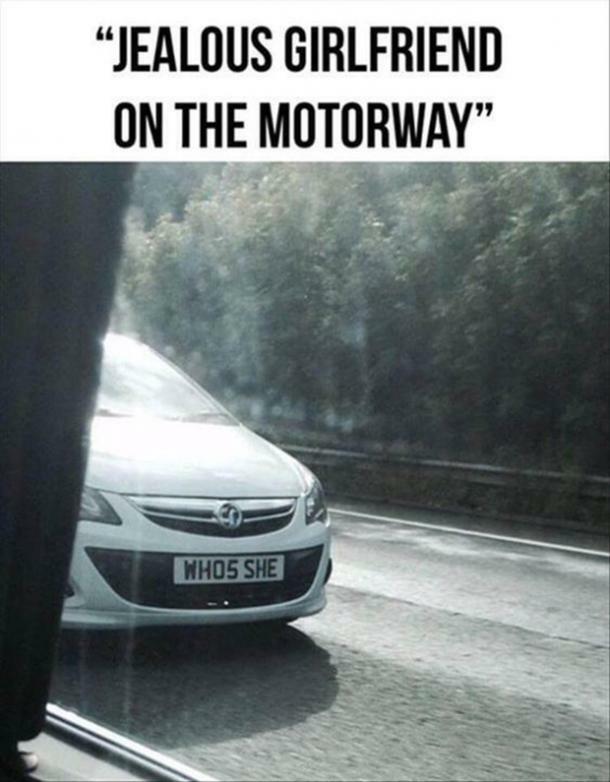 "Jealous girlfriend on the motorway." 27. The dog knows what's up. 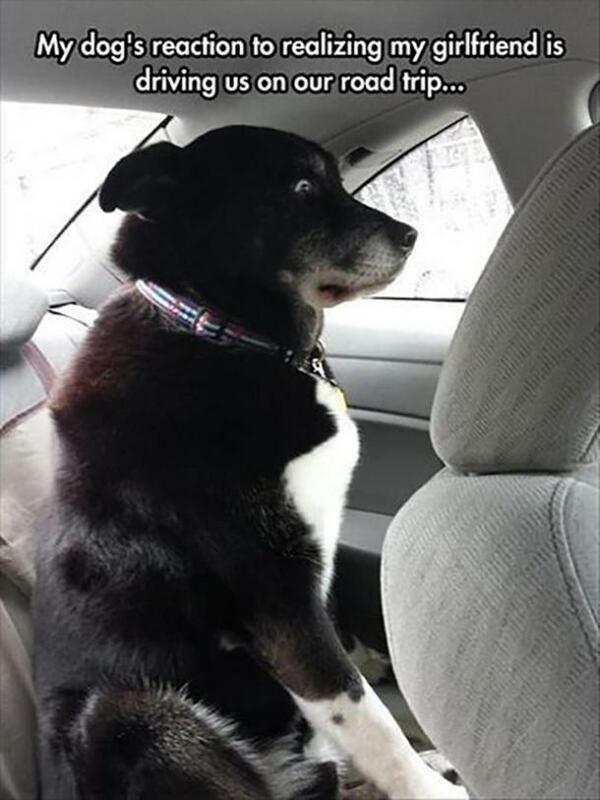 "My dog's reaction to realizing my girlfriend is driving us on our road trip..."
28. Let me think about that. 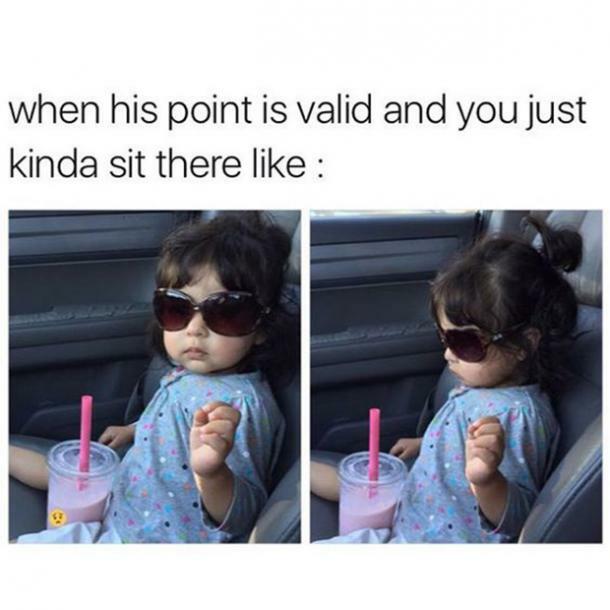 "When his point is valid and you just kinda sit there like..."
"When you have a cute conversation with bae before bed." 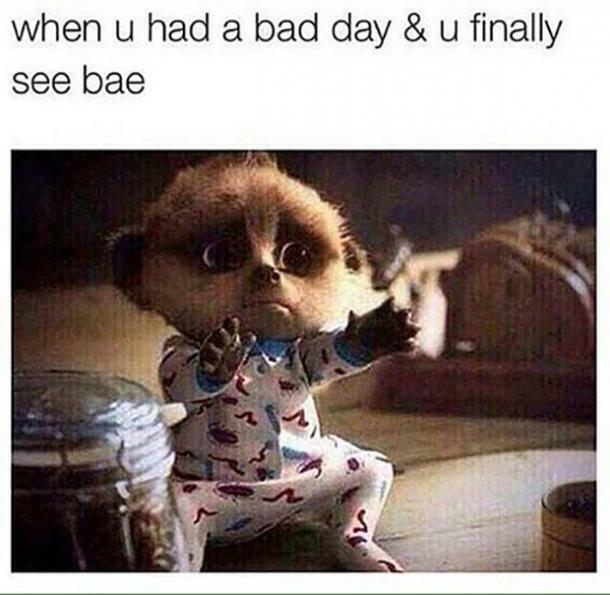 "When you had a bad day and you finally see bae." Jill Zwarensteyn is a writer and Michigan native. When she's not writing, Jill enjoys Zumba class, travel, and referencing classic Seinfeld episodes.